The Compulsive Reader: Interview with Kay Cassidy! 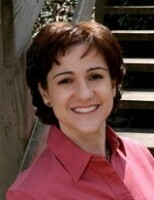 Kay Cassidy is the author of The Cinderella Society, which just came out this past week! She is the founder of the national Great Scavenger Hunt ContestTM reading program for kids and teens and the host of the inspirational Living Your FiveTM web project. In her free time, she enjoys yoga, movies, music, and reading. Lots and lots of reading. She hopes her debut YA novel, THE CINDERELLA SOCIETY (April 13, 2010 - Egmont), will help girls embrace their inner Cindy. Kay was kind enough to answer a few of my questions about reading, writing, and her books! TCR: Where did the idea for the Cindys vs. Wickeds stem from? KC: The Cinderella Society actually came from a magazine article about high school sororities. I'd never heard of that before and, once I started thinking about the kind of society I would create if I could, I realized I would've wanted it to be an organization devoted to fighting the everyday battle of good vs. evil. It all snowballed from there and The Cinderella Society was born. TCR: What was the hardest part about writing The Cinderella Society? The easiest? KC: The hardest part was figuring out how much to reveal about the society in book one. My editor was a huge help with that. Since The Cinderella Society is the first book of a series, I know quite a bit about the society that hasn't been revealed yet. TCR: And there any books you've read recently you'd like to share with your readers? KC: I absolutely loved Christina Diaz Gonzalez's The Red Umbrella coming out next month. It's about a young girl and her brother living in Cuba when Castro first takes over and their parents send them off to the US to escape before the borders close. Her chapter headings are dates with actual headlines from that time that describe how Castro succeeded in stripping away the freedoms of an entire country. It's an amazing, nail-biting story I think everyone should read. TCR: Can you give us any info on the next Cinderella Society books? 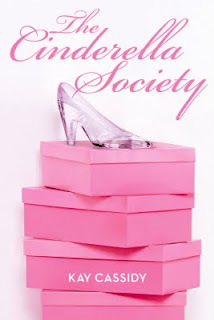 KC: Right now I'm working on the sequel to The Cinderella Society. Cindy on a Mission follows the further adventures of Jess and the Sisters as the Wickeds launch an offensive that threatens everything the Cindys hold dear. Cindy on a Mission will be on shelves in Spring 2011. TCR: What one piece of advice would you like to share with your readers? And now...here's a little teaser from The Cinderella Society for your enjoyment! The Cinderella Society is published by Egmont USA.